Or view larger version. Scene of San Francisco, pre-earthquake & fire Chinatown. ca. 1900. Unknown photographer. Lantern slide. Collection of Oakland Museum of California. 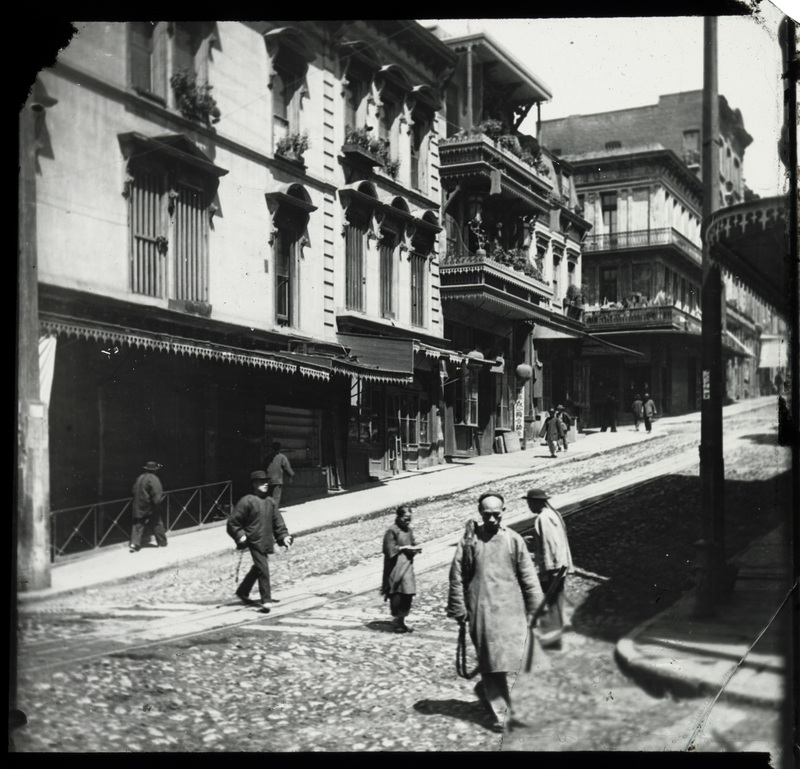 This is a lantern slide of people going about their business in San Francisco’s old Chinatown, also known as Tangrenbu, sometime before the 1906 earthquake and fire. Some 20,000 people of Chinese descent lived and worked in the Tangrenbu district of San Francisco until the April 18, 1906. When the earthquake and subsequent fire overtook San Francisco, the Chinese were displaced but ultimately returned to rebuild.